I always wanted to try out NYX products. I think they have amazing shades in pretty good prices. 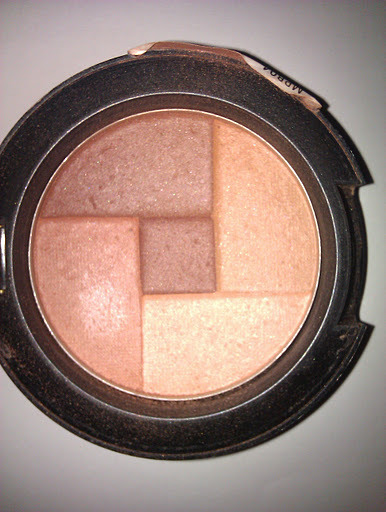 When I decided to buy something, I chose the Mosaic Powder Blush. A blush is something that I would use in one or another way. That’s why I bought a neutral shade, so that I could use it as blush, bronzer or even for the contouring. The shade I have is PEACHY, which contains 5 natural shades. The shades are not very shimmery; just as much as we want it to be si that it would offer a nice and healthy glow on our skin. I like the concept of the five shades in one, ’cause I can mix them or use them alone. I have used mine as blush, bronzer, eyeshadow, highligher and for contouring. That’s what I call versatile product, don’t you think? Once applied it offers a nice glow on the face without being excessive. The shade I got warms the skin and that’s why I think that it is suitable for all skin tones, especially for those with fair to medium skin tone. The texture is smooth, fine and it blends easily into the skin. Even if you are not really into make up, it would be easy to apply it and blend it. 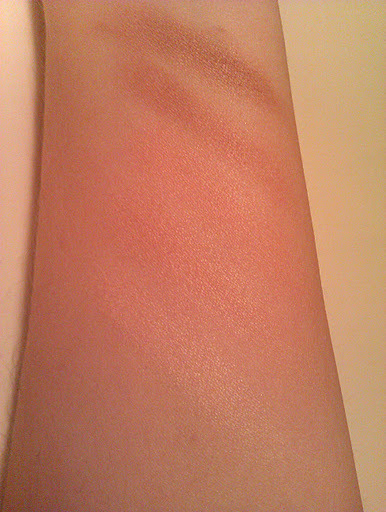 As for the pigmentation, it’s good, but I think that you need to take a little bit of colour to have a nice result. The packaging is simple, but with a professional look: a lightweight black plastic container with trasparent plastic at the top. The classic NYX packaging. If I would rebuy it? Of course!!! 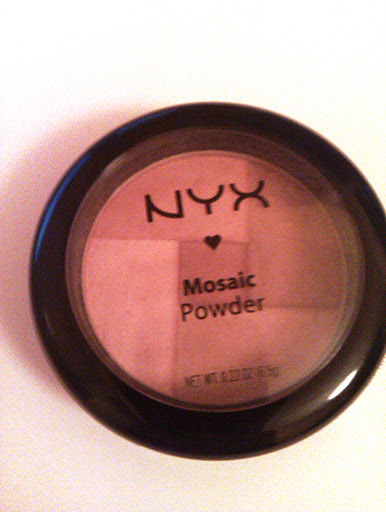 NYX Powder Mosaic has become my favorite blush/ bronzer and I love to use it even in my eyes. Plus, the Peachy shade is one of the products that could save you during the day or that every girl has to have in her beauty case when she travels. That’s absolutely a MUST HAVE! Have you ever tried it girls? What have you got from NYX? Are you satisfied with the quality? « The Body Shop 100% Natural Lip Roll-On: Here’s what I think! 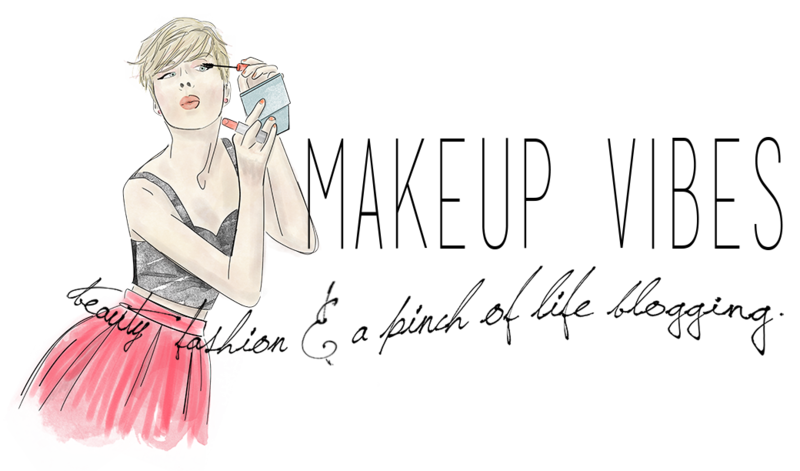 Love NYX products.I wonder if you would like to follow each other : ).http://www.glossylala.blogspot.co.uk/Happy blogging! Oooh, it looks very pretty! I want many things for NYX but I haven't got the opportunity to buy them yet. Thanks for the heads up, I've been looking for a economic multishader! λες να κάνουμε μια παραγγελία παρέα;;; Να μοιραστούμε κ τα μεταφορικά; Αν κ προς το παρόν το πορτοφόλι μου φωνάζει να μην αγοράσω τίποτα…αχαχχα!! !